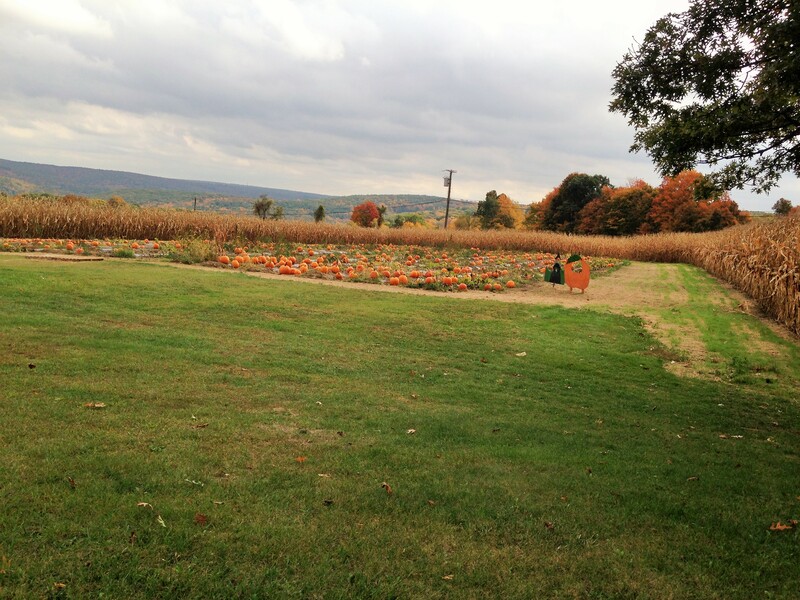 Fall has always been my favorite time of year and New England gets it right every time. 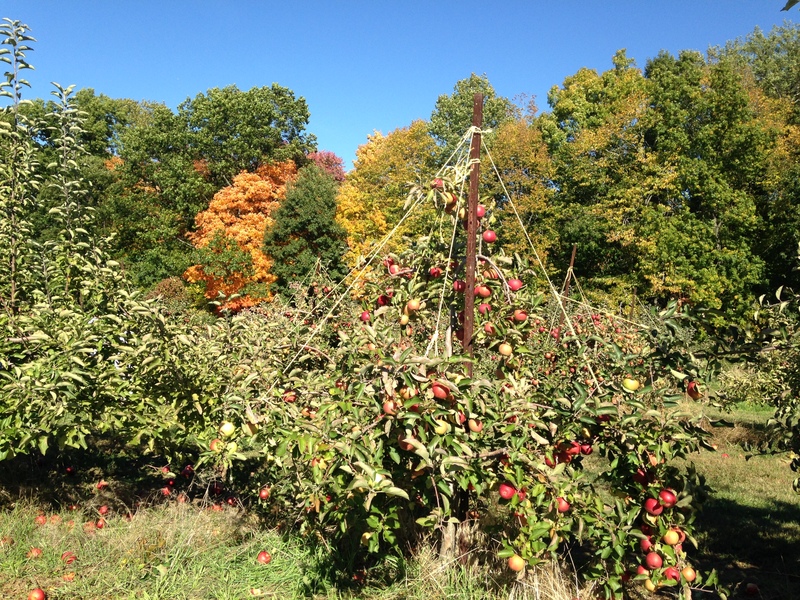 The foliage is beautiful, the apple trees are flourishing and pumpkins are everywhere. 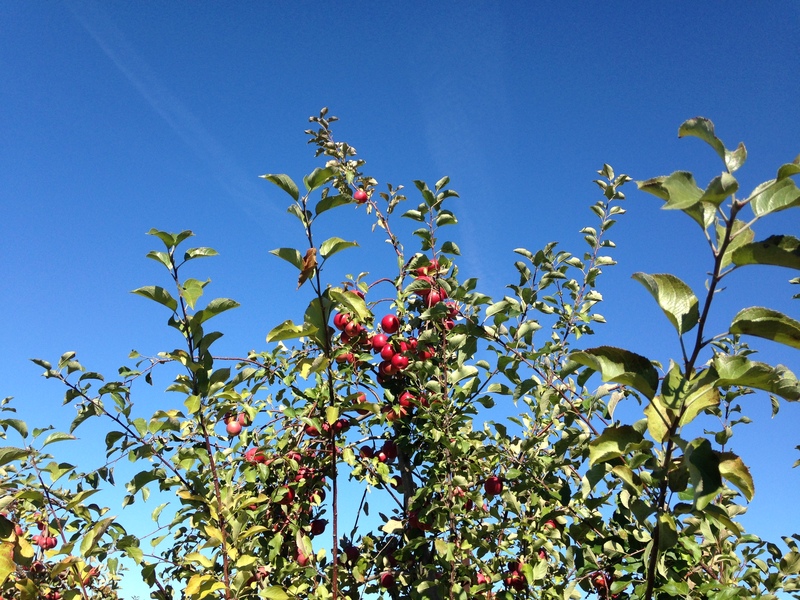 Yesterday was apple-picking day and the Indian summer weather cooperated beautifully. 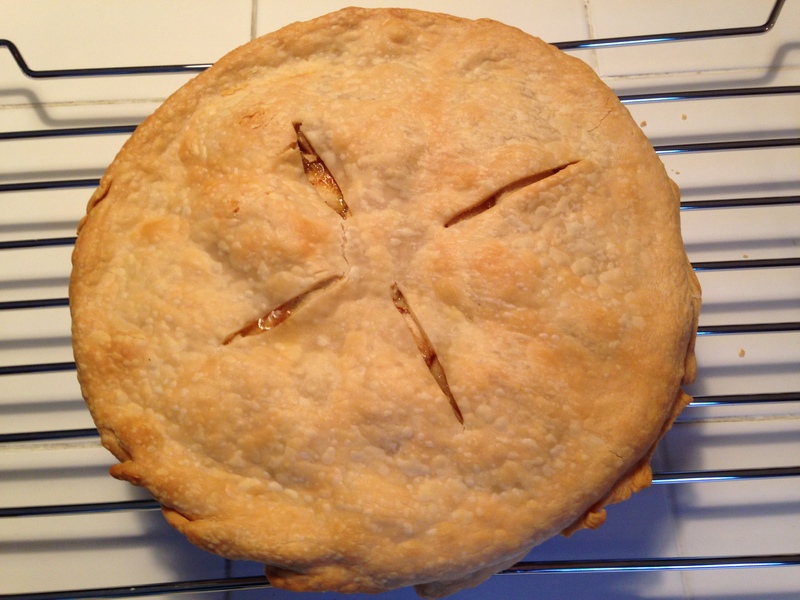 After arriving home with a bounty of Red Delicious, Fuji and Macintosh delights, hubby baked two delicious pies; one for the freezer until Thanksgiving and the other for immediate consumption. The recipe was adapted from Doubleday Cookbook and I estimate it to be about 350 (so worth it!) calories per slice. Peel, core and slice the apples thin; set aside. Prepare the filling and add the apples. Mix well. Prepare the crust according to the package directions. Pour the apple mixture into the bottom crust. Dot with butter or substitute and cover with the top crust. Moisten the edges to seal. Cut slits for steam to escape. For a glaze, combine 1 tablespoon of sugar with 1 tablespoon of lemon juice. Sprinkle over the top crust. Bake for 15 – 20 minutes at 425 F and then 25 – 30 minutes at 350 F.
This pie meets all the criteria of the perfect comfort food – the aroma fills the house while it’s baking and the taste is like a warm hug.